Soft skills refer to a group of personal qualities that make up a good student or employee, personal qualities such as a positive attitude, communication, planning and organizing, critical thinking, interpersonal skills and more. For the past century research has shown that employers have been concerned about the lack of soft skills in their future workforce. (A Study of Engineering Education, Charles Riborg Mann, published by the Carnegie Foundation, 1918) This cry from employers to include soft skills training in educational programs has only gotten louder over the past 100 years. Why has this cry for soft skills training been ignored? There are many reasons why this cry has been ignored, but the number one reason is that soft skills are misunderstood. The confusion stems from a lack of understanding of the core competencies related to soft skills. Those who teach technical skills know that at the heart of their curriculum is a set of competencies that can be taught and assessed. Many educators feel that soft skills are not competency- based and therefore cannot be taught. Some even feel that soft skills are innate and one is born with or without them. Not true! For each soft skill there is a core set of competencies that are necessary for successful skill development. Many of the core competencies for soft skills have a foundation in emotional intelligence skills. Emotional intelligence is a learned ability to identify, experience, understand, and express human emotions in healthy and productive ways. Emotional intelligence is known in educational settings as social/emotional learning. Whatever term you prefer, the concept is the same: to help individuals learn to use their emotions in a positive, constructive way. Emotional intelligence skills form the base of competencies that all soft skills are built upon. Let’s take a look at how this works. The most important of all soft skills is a positive attitude. Many people currently feel that a bad attitude cannot be changed. In order to make change, one must know how to change. To develop a positive attitude, there are some basic social/emotional competencies that are essential in order to succeed, but it can be done. 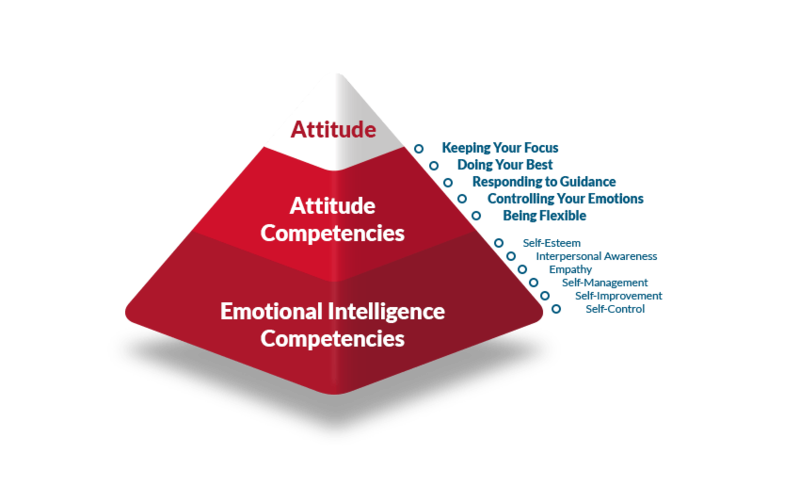 Once these core emotional intelligence competencies are learned and developed, then specific competencies related to developing a positive attitude can be taught and learned. Once the competencies of a positive attitude are understood, then they can be taught and assessed. Both of the above statements are the result of a lack of understanding of the core competencies of soft skills. Both statements mean the same thing: if I cannot identify the core competencies of soft skills, then I cannot teach those skills. These statements ultimately lead a student to learning “by chance.” Those are not good odds for anybody and it is totally unnecessary. Soft skills DO have competencies and they CAN be assessed and taught.